I enjoyed England’s 5-1 demolition of Croatia on Wednesday evening as much as the next man, particularly after Slaven Bilic’s ill-advised pre-match boast that he had identified a weakness in the English team – perhaps an inability to score six, given that England have now put four and five goals past his hapless team in their last two matches? 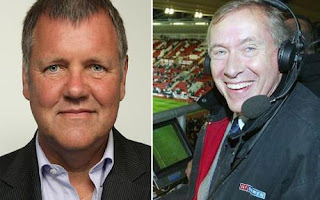 What I could have done without was Clive Tyldesley, ITV’s “big match” commentator, eagerly scrambling aboard the World Cup bandwagon like a cheerleader on heat, implying that we only had to turn up in South Africa and the trophy was as good as ours. It’s true that football commentators tend to be annoying as a breed, much like radio DJs, but Tyldesley has a degree in exasperating viewers. ITV cannot help the fact that any night of football they broadcast is ruined by adverts, but they could surely do something about the shocking bias displayed by the commentators they employ. After you have endured another torrent of adverts (weren’t the last lot only five minutes ago?) 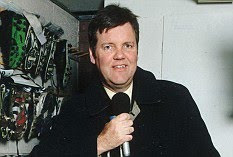 advising you of the latest DFS sale and the like, you probably think that it couldn’t get any worse, only to hear the dreaded words, “Good evening and welcome from Clive Tyldesley”. Oh great, another evening spent in the company of the rabid Manchester United fan. Some say that Clive has struggled for years, without any discernible success, to hide his United proclivities; while other believe that he makes no attempt to conceal his bias. Either way even The Who’s “deaf, dumb and blind kid” could not fail to notice his lack of partiality. In any match involving United, watch how he describes what their forwards are doing when United are attacking. Fair enough, but then look what happens when the opposition have the audacity to mount an attack: he explains what the United defenders are doing! It may be a trivial point, but it becomes grating after a while. When United misfit Diego Forlan demonstrated a total inability to find the back of the net, Clive stayed magnificently loyal to the misfiring forward, “Forlan has played in fifteen games now – and he’s nearly scored in all of them”. You have to ask why Manchester United bothered to launch their own television channel, MUTV, when Tyldesley was already doing such a marvellous job for the franchise. "He needs to mention it. He always mentions it." Of course, Tyldesley is well known for his inability to make it through 90 minutes without somehow managing to shoehorn in a reference to Manchester United’s Champions League victory over Bayern Munich in 1999 or, as he prefers, “that balmy night in Barcelona”. It was indeed an unforgettable night, but Clive is going to make damn sure that it will linger long in the memory, as he appears to be contractually bound to mention it every time he covers a European match. He’s really got it down to a fine art, often trotting out three or four completely irrelevant sentences before managing to crowbar in the inevitable mention of “two minutes of brilliance”. Other times, he’s less subtle: “And it’s an evening kick-off here, very much like it was that famous night at the Nou Camp”. There are many things that you could say about this incredible comeback, but my guess is that Tyldesley owns the copyright for most of them, which is probably fair, given that he appears to make his living out of droning on about that final, while theoretically commentating on other matches. If that weren’t bad enough, Clive seems to be under the impression that his commentary was somehow responsible for United’s injury time larceny, “What’s this? Ninety minutes on the clock and Manchester United haven’t scored. They have to score. They always score … Sheringhaaaaammmmm!” The downside of this belief is that he starts rubbing the same rabbit’s foot every time United are up against it: “They need to score. United always score”. The thought that not everyone in the country wants United to win has never entered his head. ITV Sport have long perpetuated the ridiculous notion that United are in some way England’s team. The underlying message behind Tyldesley’s nauseating tone on European nights is that those sitting at home should wrap themselves in red and white before willing on “our brave boys”, but what they have singularly failed to grasp is that the vast majority of the audience is actually desperate for United to lose. To be fair (note the switch into football-speak), Tyldesley is equally biased in favour of any English team playing against Johnny Foreigner, overlooking the possibility that some might just want to watch an entertaining game of football and not a re-enactment of ancient military battles. Even when an English team is not involved, Clive will somehow link the match back to England or the Premier League. You might have mistakenly thought that the European Championship was intended to discover the best team in Europe, but for Clive it’s all about the players’ careers in England, otherwise he wouldn’t change everyone’s surname, e.g. Senderos of Arsenal, Tuncay of Middlesbrough, Cech of Chelsea, etc. In the worst example of his Anglophile tendencies, I swear that I once heard him refer to France as Arsenal. "All you do to me is talk, talk"
If possible, the xenophobia is turned up a notch during those “special European nights at Anfield”. When Standard Liege tore into Liverpool during a Champions League match, Tyldesley’s patronising of the Belgian champions was relentless. As they continued to create chances, even missing a penalty, he couldn’t have sounded more astonished if Elvis had strolled on to the pitch to perform “Jailhouse Rock”. Similarly, when Liverpool played Inter, he could not help gloating that Inter had just one Italian in their starting line-up (“Can you believe that? "), neglecting to mention that Liverpool had only one more Englishman in their team. The Norman Tebbit impression really comes into its own when Clive is confronted by a team from Eastern Europe. In a match featuring Latvia it wasn’t long before he started cracking gags about the Latvian surnames – absolutely hilarious those long foreign names, aren’t they? When England played Kazakhstan, it took even less time before a Borat quote was wheeled out, as Clive brazenly admitted that he had never heard of the Kazakh players – ever heard of research? His one-eyed stance even makes Motson look neutral. While he’s always happy to belittle unknown players, he has a limitless capacity for sycophantic gushing towards the superstars of the game. Cristiano Ronaldo has always held a special place in Clive’s heart, his role in Manchester United turning him into some sort of honorary Englishman, rather than the gap-toothed, greasy foreigner that he would normally despise. Whenever Ronaldo touched the ball, it was “Oooooh, what’s he going to do now?” - before another miscued cross sailed into the crowd. 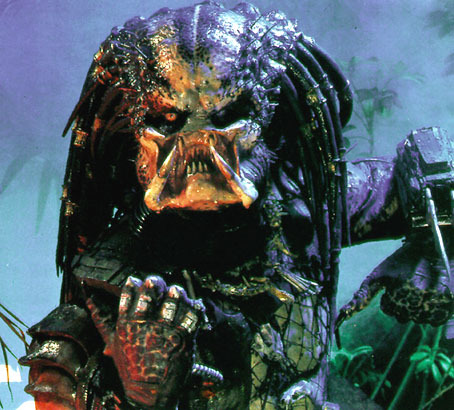 When Manchester United met Chelsea, Clive fashioned a tortuous “Beauty and the Beast” analogy involving Predator look-alike Drogba and his heartthrob Ronaldo: “He’s looking very pert and perky”. For God’s sake, get a room. These days, the winker might be feeling a touch jealous, as Clive has started to bestow his grovelling affections on Steven Gerrard. In fact, if he gets any further up the Liverpool captain’s backside, the only thing he’ll be able to see is Alan Hansen’s feet. Never mind, Clive can always return to his trusty Big Book of Clichés, so his greeting for the Champions League Final in Rome was, “We’re a few kilometers away from the Colosseum, but there’s something rather gladiatorial about this moment”. It’s as if his mouth has been hard-wired to the software that spews out tabloid headlines. Even the bookies picked up on this with Paddy Power taking bets (“Commentary Clichés”) on which blindingly obvious rubbish Tyldesley would utter, e.g. how long before he mentions his signature phrase (I think you know which one). When he goes off-piste, the results have a distinct whiff of Alan Partridge at his most idiotic, such as his description of the Dutch, orange masses descending on Basel: “It must have looked like a piece of toast. Covered. In Marmalade.” I kid you not. Tyldesley has come a long way since the 1970 World Cup, when he got the half-time score of his first game wrong. He’s been plugging away for ages, including four years at the BBC, where he was assigned a grand total of four live matches. Even though he is now firmly established as ITV’s top commentator, he still has the air of a man scrambling to prove himself; hence his constant attempts to utter a memorable soundbite, his “They think it’s all over” moment, rather than just telling it straight. 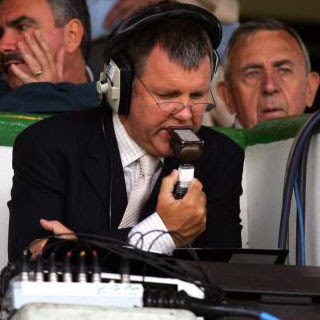 "A great commentator - and Clive Tyldesley"
Maybe that’s why he makes so many needlessly melodramatic outbursts, constantly building up the dullest of games, asking histrionic, rhetorical questions like: “Oooh … look out …it couldn’t be … could it?” Celtic recently needed to score at least three times against Arsenal at The Emirates to qualify for the Champions League, which was extremely unlikely, but that did not stop Tyldesley faking a coronary every time they crossed the halfway line. When John Terry managed to control a simple ball before hoofing it away against Barcelona, Tyldesley could not believe his eyes: “Wow, Terry. Immense”. The premise is always the same: stick with us (“don’t you dare go away”) no matter how drab the game appears, as you might be rewarded with another comeback like “that magical night in Istanbul” (a.k.a. past ITV glories). Tyldesley’s commentating style could be described as an uncomfortable mixture of pomposity and hysteria. Oozing gravitas, he just loves spouting his opinions as if they are proven fact. On occasions, he seems to believe that he is addressing the entire nation, “Good evening, everybody, and on a night like this it really is just about everybody”. Could we at least wait for the viewing figures? Nothing pleases Clive more than an opportunity to regale us with his encyclopaedic knowledge of the game, like the precise pronunciation of Juan Sebastian Veron. In fact, he’s way too pleased with himself throughout the match. It sounds like he’s rubbing his hands together with excitement about the great spectacle unfolding in front of him. Or masturbating. Or both. And would it hurt Tyldesley to shut up now and then? He commentates as if he is still on radio and the audience is somehow deprived of the images that television usually provides as a matter of course. In full flow, he sounds like a man who has buttonholed a stranger on a bus, incessantly stating the obvious and firing off a barrage of widely known facts and meaningless statistics. When England played Andorra, Clive had duly looked up the country on Wikipedia and was thus well placed to relate its claim to the world’s longest life expectancy. I used to believe that this loquaciousness was because ITV’s commentators did not have access to much football, feeding off the scraps left by Sky, but it was much the same during the World Cup, when they were on pretty much every night. Somewhere in ITV Towers there must be a man with a warped sense of humour who once cruelly told Tyldesley that he was actually interesting. He is the man who has been brought on to replace Pavel Nedved - the irreplaceable Pavel Nedved. He’s not George Best, but then again, no-one is. He went through a non-existent gap. One or two of their players aren’t getting any younger. David O’Leary’s poker face betraying his emotions. Clive: I’m not sure where exactly he was injured there, Ron. Ron: Just inside his own half I think, Clive. Boom, tish! 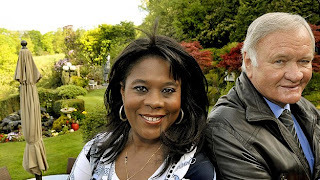 Actually given the nature of Big Ron’s fall from grace (a racist outburst against Marcel Desailly) that stripped the glamour from the double act, maybe a better comparison would be Andrew Ridgeley and George Michael (the undercover policeman’s friend). After “Champers” exited stage left, Clive had to make do with David Pleat, not only one of the most boring men in football, but a well-known kerb crawler (cautioned not once, but three times). "Big Ron: Some of my best friends are black." 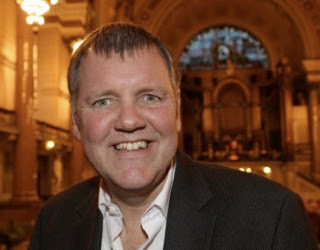 Should ITV sack Clive Tyldesley? Yes - and make him sit Stage 1 elocution exams. Yes - and send him to the seventh level of hell wearing nothing but a Manchester United thong. No - I am a moron who thinks Clive's commentary is accurate, dispassionate, and value adding. Say no more – especially as Clive has said absolutely everything that needs to be said, then a little more.